Feminine. Utterly feminine! From her delicate pink color to the rippling ruching details on the front (and even the end pockets! ), the Martha Shell for Demi Bags brings out the soft side of your personality while complementing virtually any neutral outfit. 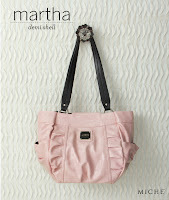 Martha is sweet as a strawberry ice cream sundae and her ultra-chic styling is the cherry on top! 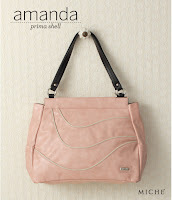 The feminine Amanda Shell for Miche Prima Bags features a soft pink color that’s as sweet as cotton candy, smooth carnation faux leather with almond piping simply gorgeous! Base bag not included.